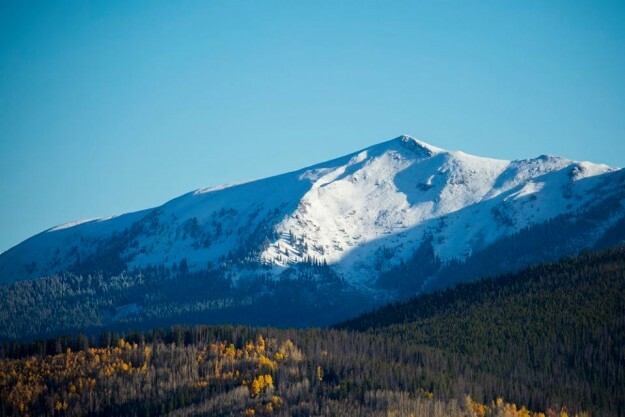 Snow on the high peaks around Vail (Vail Resorts Facebook photo). Colorado Democrats on Thursday skewered President Donald Trump for pulling out of the 2015 Paris Accord on global climate change, citing the state’s booming renewable energy sector and endangered outdoor recreation industry. Colorado officials pointed out the state ranks among the nation’s largest clean energy employers, with 2,070 clean technology companies operating in Colorado in 2015, supporting more than 62,000 jobs in both rural and urban communities. Those jobs provide Coloradans $3.6 billion in wages. “America’s greatness has always been demonstrated by our moral leadership,” Hickenlooper added. “Today, we break ranks with 190 nations who are working together to stop the worst effects of climate change, which the scientific community agrees would devastate the global economy and our planet, and the defense community agrees would destabilize vulnerable nations that have served as breeding grounds for international terrorism. May 31, 2017 – Eagle County and the towns of Avon, Eagle, Minturn and Vail were among the 27 jurisdictions from across the state that signed on to the Compact for Colorado Communities earlier this month. Founded by City of Aspen Mayor Steve Skadron, the compact was established to bring cities and counties together to take local action on climate change. More information on the Compact for Colorado Communities can be found at http://Colorado.ACCOonline.org. Remember, though, that there is an effective climate policy that should appeal to both parties. It has three parts: A gradually increasing fee on fossil fuels, collected at the point of extraction or import; a full refund of the fee revenues to U.S. citizens via monthly per capita rebates; and border tariff adjustments to keep U.S. businesses competitive and encourage other countries to enact carbon pricing policies. Studies by Citizens’ Climate Lobby indicate that this market-based policy would grow the economy, increase employment, and save lives (https://citizensclimatelobby.org/remi-report/). This policy is in the purview of congress, not the executive. Please encourage your representatives to support this approach.